Peter Rabbit has hopped off to Farmer McGregor’s garden, the dinosaurs are officially extinct, the insects are gone, and we learned about animals in the zoo. The excitement of tea parties and dinosaur hunts were fun. Now that all these wild beasts are gone, we can get back to work. February may be the shortest month, but it is also the busiest. With Valentine’s Day, two president’s birthdays, Chinese New Year and Ground Hog Day, February always promises excitement. Ms. Jess and Ms. Susanne will introduce the world of color to our Mothers Day Out classes with easel painting, sponge printing, spin art and backed papers, this is a grand time for our youngest. Our threes will begin February with community helpers. The teachers introduce their children to the people in their neighborhood. Fireman, policeman, doctors, and dentists will come to share their jobs and teach the children safety. If you can offer us your expertise, please give your child’s teacher a call. It’s a terrific month for the threes! Ms. Sandra’s class will cover the hodgepodge of February–Ground Hog Day, Lincoln’s and Washington’s Birthdays, Valentine’s Day, and Chinese New Year. It’s a great time for the children to learn a bit about our country’s history, the pledge of allegiance, and those anecdotes about George and Abe. Busy! The kindergarten classes go around the world. It’s a full month’s trip, as we learn about children from other countries. The emphasis of study is the dress, food, homes, and customs of countries in Europe, Africa, and Asia. If any of you have traveled and can share pictures or items with the class, please call me or your child’s teacher. Valentine’s Day with its message of love and friendship is special to children and to Bellamy Manor School. Each class exchanges valentines and has a party on February 13th and 14th. Enclosed is a list with the number of children in each class. On February 14th (or 13th) please send in valentines for each student in your child’s class, and we’ll take care of the rest. The teachers have requested that you NOT “address” the valentines–just sign them with your child’s name. This way the children can easily pass them out. Registration for next year is going well. It is satisfying to know that so many of you are pleased with BMS’s program. Thank you for all your support and cooperation. Without your smiles and encouragement my job would be so difficult. Instead, it’s a joy! Openings are still available in some of our classes even though we have opened registration to the general public. If you intend to register your child for next year and haven’t yet done so, we urge you to turn in your form along with your registration fee soon. The only way to be sure of a place next year is to turn in both the registration form and the registration fee. Those of you that have registered make sure that you complete your registration with the online link that we’ve emailed to you. Many of you have asked questions about our kindergarten program. 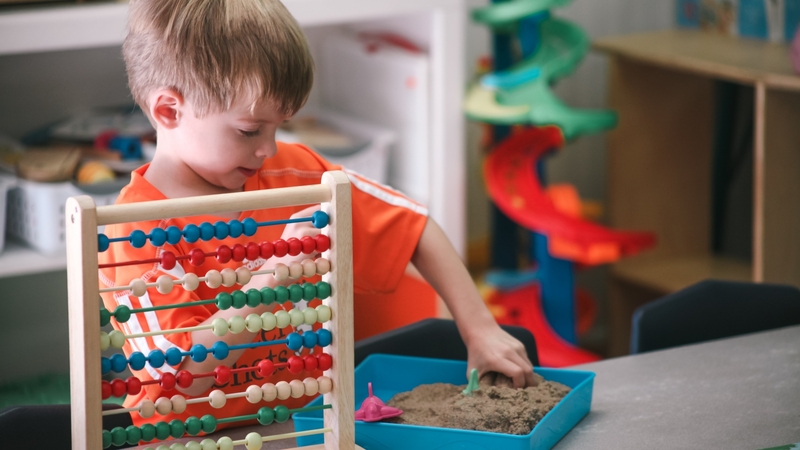 We realized that when most of you initially register at BMS, we go into great detail about the three- year-old program or the four-year-old program, but often kindergarten comes as a wonderful surprise. 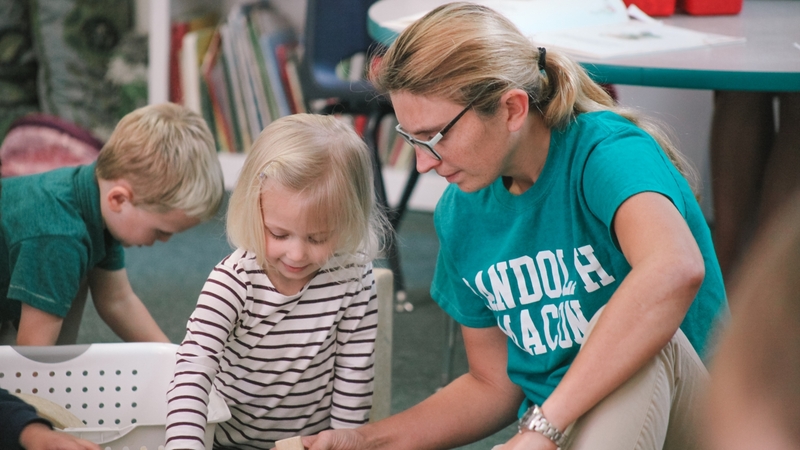 Our kindergarten program continues the phonics instruction begun in the four-year-old and Pre-K programs. It includes a very strong short vowel reading, writing, and spelling curriculum that leads to long vowel usage in the spring. The children learn to recognize and write numbers to 100 and beyond; they learn math facts to 20, graphing, fraction recognition, and how to count money. 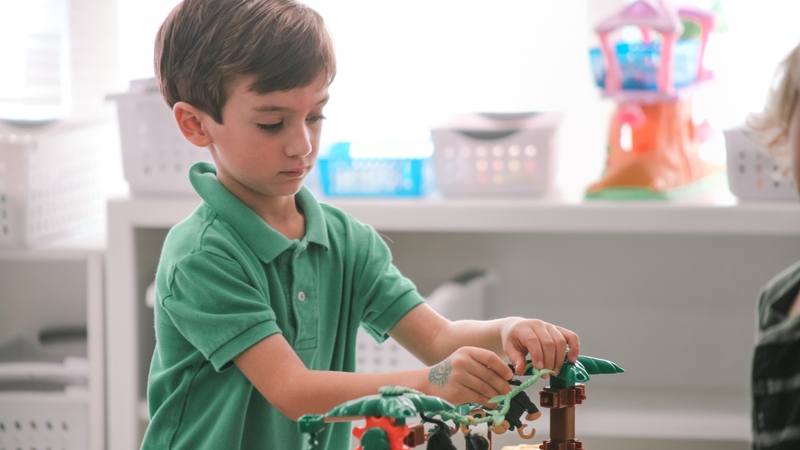 The joy of the program, however, is the incredible amount of information the children learn in their unit studies (constellations, musical instruments, and dinosaurs, children around the world, the human body, and other very hands on science studies.). The goal is, as always, to enhance their self esteem. Having so much knowledge about their world gives them tremendous self confidence. They acquire the skills needed to put them at the top of their first-grade class. Your response so far for next year is gratifying. SUMMER: Our summer program will be from June 17-Aug. 16. Summer registration forms will go out soon. We will have two, three, and five-day programs, both half and full day. We will have a six week and an eight-week program. INCLEMENT WEATHER POLICY. We do not automatically close when the public schools close. Information regarding school closing can be found on our web site. It all depends on the roads and the power conditions. We will send out an email from the school to warn of any weather closings. Be sure to check our website at www.manorschools.com. Of course, if your neighborhood conditions are even slightly questionable, please stay home. Please return any clothes your child may have borrowed from school due to accidents or playground mishaps. We’re getting low on our supply of spare socks, underwear, and pants. It helps so much to have a change of clothes in the bottom of your child’s bookbag. Check coats and jackets. Sometimes a child grabs the wrong coat on his way out the door. So many jackets are similar and make ownership difficult to distinguish. PLEASE WRITE YOUR NAME ON THE LABEL! Our Lost and Found container is full. Please stop by and check to see if anything belongs to your child. JUNE 14..……….. Last Day of school. February may be the shortest month, but it is also the busiest. With Valentine’s Day, two president’s birthdays, and Ground Hog Day, February always promises excitement. Loretta continues to help our youngest children with the exciting process of learning. Our MDO’s will spend their time enjoying “Fun with Food”. They will make Cinnamon Pretzels, play with dough (and spaghetti), paint with fruit and sample many tasty and healthy treats. Our three-year-olds will be introduced to life on the farm. The focus of this unit is farm animals and their products. Although the school doesn’t take field trips, I’d like to suggest a trip to a farm where the children can see a working dairy. The petting zoo at the Virginia Zoo also has many farm animals the children can touch and feed. As the children become more aware of their environment their curiosity deepens. These studies are designed to help them understand and organize their world. The four-year-olds travel to Farmer MacGregor’s garden. They will study nature from a more imaginary viewpoint. Taking a leap into fantasy, Bridget, Kim, Michelle and Kari introduce the children to the world of Beatrix Potter. After they are thoroughly entranced by Benjamin Bunny, Peter Rabbit, and Jemima Puddle-duck, they have a marvelous English tea party. We have a good bit of fun with this unit while introducing the children to some excellent literature. Because Beatrix Potter’s books are so delightfully illustrated, reading them aloud to your child at home will help reinforce her world in their minds. Ms. Gwen’s classes cover the hodgepodge of February – Ground Hog Day, Lincoln’s and Washington’s Birthdays, Valentine’s Day and the Chinese New Year. It’s a great time for them to learn a bit of our country’s history, the pledge of allegiance, and those anecdotes about George and Abe. Busy! The kindergarten classes finish rhyming using the stories of Dr. Seuss. Ms. Early and Mrs. Stanger introduce the children to the various systems of the human body. They will focus on themselves and learn about our similarities. They begin by studying their skin and work their way through the body systems to the heart (the most important part!). This month Spanish will be teaching the parts of the body. The rhyme, “Head, Shoulders, Knees and Toes” will now sound like, “Cabeza, Hombros, Piernas y Pies, Piernas y Pies…” The song is fun, easy to learn and the children will pick it up quickly so you will likely hear it at home…in Spanish!! Valentine’s Day with its messages of love and friendship is special to children and to Greenbrier Manor School. Each class exchanges valentines and has a party on February 14th (or 13th for the MWF classes). Enclosed is a list with the number of children in each class. On February 14th (or 13th) please send in valentines for each student in your child’s class, and we’ll take care of the rest. The teachers have requested that you NOT “address” the valentines – just sign them with your child’s name. This way the children can easily pass them out. Registration: Registration for next year is progressing nicely. It is satisfying to know that so many of you are pleased with GMS’s program. Thank you for all your support and cooperation. Without your smiles and encouragement my job would be so difficult. Instead, it’s a joy! Openings are still available in some of our classes even though registration is now open to the public. If you intend to register your child for next year and haven’t yet done so, I strongly urge you to begin the two-step registration process immediately. The only way to ensure a place next year is to turn in both the preregistration form and the registration fee. the four-year-old program, but often kindergarten comes as a wonderful surprise. Our kindergarten program continues the phonics instruction that began in the four-year-old program. It includes a very strong short vowel reading, writing, and spelling curriculum that leads to long vowel usage in the spring. The children learn to recognize and write numbers to 100; they learn math facts to 10, graphing, fraction recognition, and how to count money. 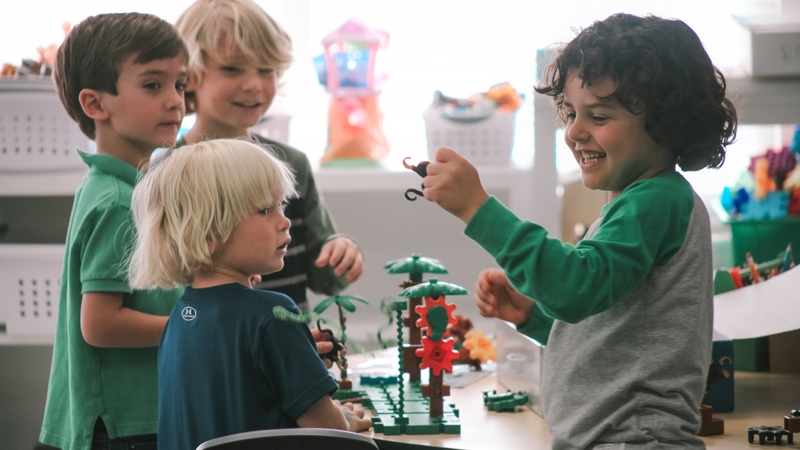 The joy of the program, however, is the incredible amount of information the children learn in the unit studies (constellations, musical instruments, dinosaurs, children around the world, the human body, and other very hands on science studies). The goal is, as always, to enhance their self-esteem. Having so much knowledge about their world gives them tremendous self-confidence. They acquire the skills needed to put them at the top of their first-grade class. Your response so far for next year is gratifying. You may not be aware that if you declare GMS as your primary childcare provider, you can register your child in the kindergarten class at Greenbrier Primary School. We will be offering transportation from Butts Road Primary and Southeastern Elementary. We’ll pick them up and bring them back to GMS. This gives them both the community school experience and the academic exposure you have come to expect from GMS. Summer: Our summer program will be from June 17 thru August 16. Summer preregistration forms will go out soon. We will have two, three, and five day programs, both half and full day. We will have one six-week program for half day children. Full time students may enroll for an eight-week session. Inclement Weather Policy: Although our inclement weather policy states that we will close if the public schools close, sometimes it is not necessary. It all depends on the roads and the power conditions. Be sure to check our website under “Special Announcements” at www.manorschools.com. Of course, if your neighborhood conditions are even slightly questionable, stay home. Please check coats and jackets. Sometimes a child grabs the wrong coat on his way out the door. So many jackets are similar and make ownership difficult to distinguish. PLEASE WRITE YOUR NAME ON THE LABEL!!!! April 15-19…………… Spring Break, School Closed. HAPPY NEW YEAR! We hope your holidays were delightful. We can’t wait to see all the new and exciting Show ‘N Tells! The children and teachers are now refreshed from vacation and ready for some intensive learning. January seems to be a month when the children experience tremendous academic growth. Broad Bay Manor teachers take advantage of the moment and offer exciting and educational units! Our two’s have grown and matured at an impressive rate. This month Ms. Charlynn and Ms. Kristin will introduce the children to the colors all around us! They will explore color through food, animals, textures and lots of books. Our three-year-olds begin January with a study of community helpers. The teachers introduce the children to the people in their neighborhood. Fireman, policeman, doctors, and dentists will come to share their jobs and teach the children safety. If you can offer us your expertise, please give your child’s teacher a call. Ms. Jamie will continue to re-iterate these same concepts through individual attention and conversational Spanish. It’s a terrific month for the threes! The four-year-olds come back to a unit on BEARS! From Corduroy, Pooh, and Paddington to pandas and polar bears they investigate bears, their habits and habitats. Some activities you might hear about include packing Paddington’s suitcase, painting Pooh bear, and ultimately our teddy bear picnic. The fours indulge in fantasy to their heart’s content. Our PreK classes look at the world from a geographical and environmental angle. Ms. Moesta and Ms. Brantley introduce their children to some basic geographical concepts using habitats as their motif. By mid month the children are learning about the fragility of various habitats and the interdependence between the environment and its inhabitants. An investigation of endangered species concludes the unit. This month the kindergarten classes go around the world. It’s a full month’s trip, and we learn about children from other countries. The emphasis of study is the dress, food, homes, and customs of countries in Europe, Africa, and Asia. If any of you have traveled and can share pictures or items with the class, please contact your child’s teacher. We would love for you to share your experiences! Step 1: You (the parents) complete the pre-registration form. We then know what class you want for your child. When you return this form along with the registration fee you will have completed the first step. We will then send you the Web link for our online enrollment. Step 2: After you receive the link, you should complete the online enrollment form. Every required field must be filled out in order for you to submit the form. Once this enrollment form is submitted your child will be fully enrolled in the class you requested. Parents who choose to pay the registration fee via credit or debit card may do so through our online tuition portal at Diamond Mind. Please record your transaction number on the pre-registration form. Remember it is important to register in January, as classes will open for new student on February 1st. We will continue to offer Spanish instruction in our three, four, PreK and all-day Kindergarten next year. Many parents of current four-year-old students are concerned about properly placing their child next year. 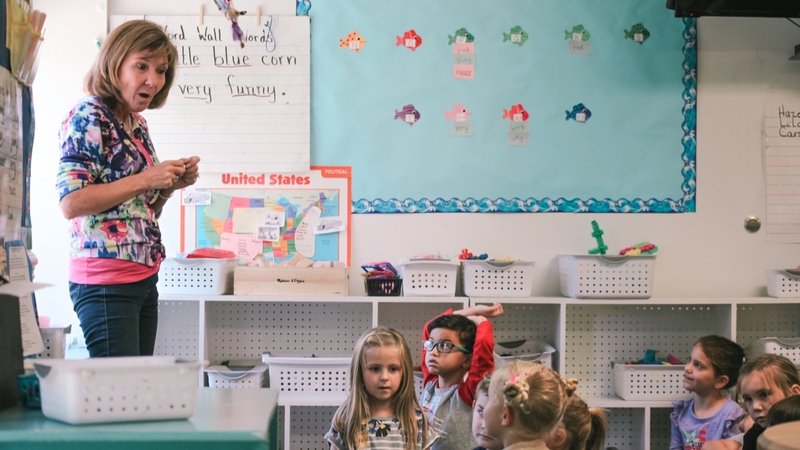 Some children need an additional preschool year before kindergarten, but many do not. Kindergarten is only open to those children turning 5 on or before September 30, 2019. If your child turns 5 after this date, our PreK class is the correct placement. 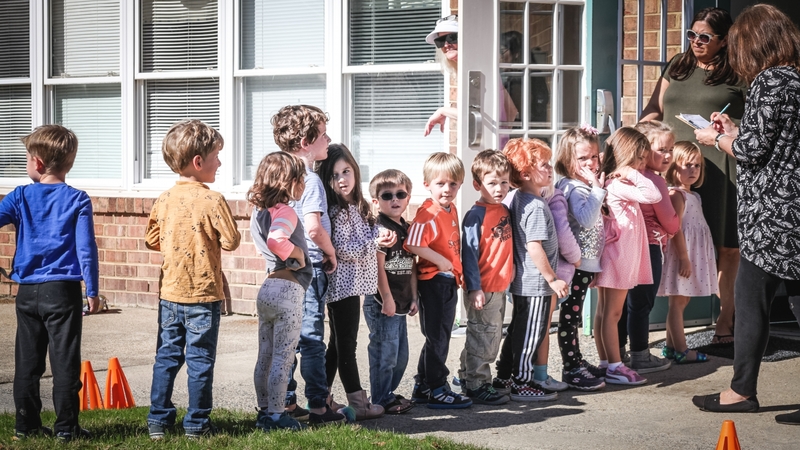 Parents of rising kindergarteners should be aware that many families have chosen to combine the Manor Schools’ Kindergarten with their public school program by having their child attend each program for half a day. 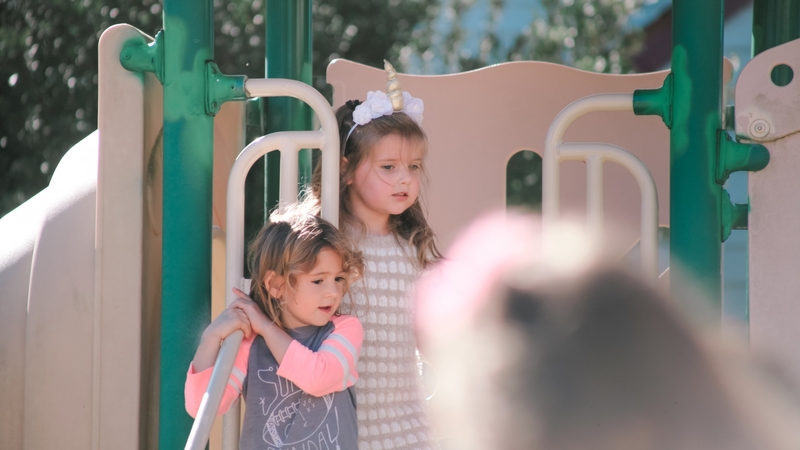 Children who do this benefit from continuing the Manor School’s strong academic curriculum while becoming familiar with their prospective public school’s methods, social circles, and environment. Please contact me if you have any questions about placement. As always, we want what is best for your child’s academic and social growth. Thanks again for your enthusiastic support! You have enabled us to teach in a creative and open atmosphere so crucial for true learning to occur. Inclement Weather Policy: Manor School special announcements, such as school closing, late opening, and early dismissal will be posted on our website www.manorschools.com. You will also get an email as soon as we make any decisions about school closings. If you are still not sure, feel free to contact your child’s teacher directly. HAPPY NEW YEAR! We hope your Christmas was delightful. We can’t wait to see all the new and exciting Show ‘N Tells! The children and teachers have returned from vacation refreshed and obviously ready for some intensive learning. January seems to be a month when the children experience tremendous academic growth. 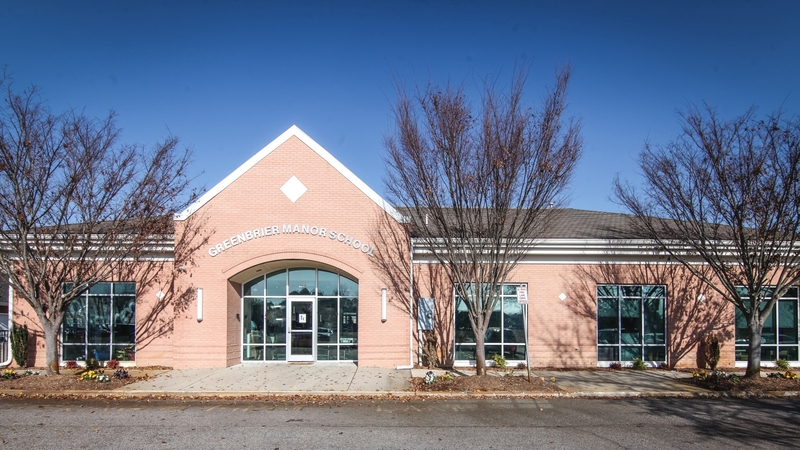 Greenbrier Manor School’s teachers take advantage of the moment and offer exciting as well as educational units. Ms. Loretta’s Two’s have grown and matured at an impressive rate. This month her MDO children will explore the many adventures of Pete the Cat. These best-selling picture books present the wiry Pete with his white shoes and eclectic friends showing that it’s cool to be you. With boundless poise, creativity and energy, Loretta does an exceptional job with her charges. The three-year olds are introduced to the main food groups through a delicious study of nutrition. Karen, Brittney, Liz and Amber hope to teach the children about “good” foods and their sources. This unit involves quite a bit of cooking and sampling with each food group. They’ll make French fries, fruit salad, and finger-paint with pudding. It’s a terrific and “fattening” month for the Threes! The four-year-olds discover the fanciful world of dragons and unicorns this month. Medieval knights and castles come alive for them, and they will find that most dragons are rather sensitive and lovable creatures. The children finish the unit with a royal ball fit for any king or queen. The four’s indulge in fantasy to their heart’s content! The Pre-K classes become environmentally aware as they focus their attention on our feathered friends. Gwen’s Pre-K classes will study birds, birds of prey in particular. Children will learn why the hawk has a hooked beak and toes with strong, curved talons. Where does the Osprey live and what do they eat? The kindergarten classes study rhyming using the stories of Dr. Seuss. This is a fun time to rhyme in silly ways. The Cat in the Hat, the Lorax, and Thidwick become our vehicles for learning. Math, crafts and songs all focus on Seuss themes. It all ends with the renowned, “Breakfast at Greenbrier Manor” featuring Green Eggs and Ham (of course)! The children have a grand time with all of this while an incredible amount of learning takes place. La familia (the family) will be the topic in Spanish this month. You may hear “la mama, el papa, el hermano,(brother) la hermana,(sister) in discussions about school at home. I am not certain who is having more fun – Ms. Sheila, Ms. Luz or the children – as they all love Spanish! It is truly a rewarding experience for everyone!! We have lots of plans and ideas for school programs in the coming year. Although next September seems a long time away, it’s time to consider registration. A preregistration form and the 2018-2019 tuition schedule for fall are attached to this newsletter. Returning students have priority for places in the morning classes until the end of January. All other classes are open to new as well as returning students. Step1: You (the parents) complete a preregistration form. We then know what class you want for your child. When you return this form along with the registration fee you will have completed the first step. We will then email you the InfoSnap registration link. Step 2: The submission of your InfoSnap registration. Parents that registered with InfoSnap last year should find the process easier because the link permits exclusive access to your registration we have on file. You will only need to update information that may have changed. Please remember that required fields must be filled out to submit the form. Once this enrollment form is submitted your child will be fully enrolled in the class you requested. Parents who choose to pay the registration fee via credit or debit card may do so through our online tuition portal, Diamond Mind (http://greenbriermanor.diamondmindinc.com/). We are hoping that this will be as easy as it sounds!! Remember it is important to finish registering in January as classes will open for new student registration on February 1st. We will offer Spanish immersion classes in our five day three and four-year-old classes, pre-k am class and kindergarten classes next year. If you are interested you must check the box on the pre-registration form to be considered. Children currently in the immersion program have priority. Please let us know if you are interested in this program on the pre-registration form. Many parents of four-year-olds are concerned about properly placing their child next year. Some children need an additional preschool year before kindergarten, but many do not. We receive many calls concerning the differences between the four-year-old program and the pre-k class. The onlydifference is age. Children whose fourth birthday falls between January and August should sign up for the regular four-year-old class and those turning five between September and December normally belong in the pre-kindergarten class. If you have any questions or concerns, please contact Jackie or your child’s teacher. All parents of rising kindergartners should be aware that many families have chosen to combine the Manor Schools’ Kindergarten Program with their public school program by having their child attend each program for half a day. Children who do this benefit from continuing the Manor School’s strong academic program while becoming familiar with their prospective public school’s methods as well as their social circles and environment.Many rising kindergartners can attend Greenbrier Manor for a half day and the public kindergarten (Butts Road Primary and Southeastern Elementary) for the other half. We have limited transportation, so if you think you may be interested in this option please talk with Elizabeth or myself. Kindergarten parents who are interested in private school for their child should schedule interviews NOW. If you wait even a month, many of the quality schools will be full for next September. Please discuss this interest with child’s teacher and me so that we can prepare your child properly for the private school entrance evaluation. We are all here to help and have the same goals – a happy, self-confident child who loves school and learning. Thanks again for your enthusiastic support! You have enabled us to teach in a creative and open atmosphere so crucial for true learning to occur. We sincerely hope you will be able to return next year. MONDAY JANUARY 28, THE MANOR SCHOOLS WILL BE CLOSED TO HAVE THEIR SEMI-ANNUAL INSERVICE. SNOW POLICY: Manor School special announcements, such as school closings, late openings, and early dismissals will be posted on our website at www.manorschools.com. You will also receive an e-mail and/or text from your teacher. If you are still not sure, feel free to contact your child’s teacher or me directly. TAX INFORMATION: If you claim the cost of as an expense on your Federal Tax Return, you must include the Taxpayer Identification Number (TIN). Greenbrier’s TIN is: 54-1636775. HAPPY NEW YEAR! We hope your Holidays were delightful. We can’t wait to see all the new and exciting Show ‘N Tells. The children and teachers returned from vacation refreshed and obviously ready for some intensive learning. January seems to be a month when the children experience tremendous academic growth. 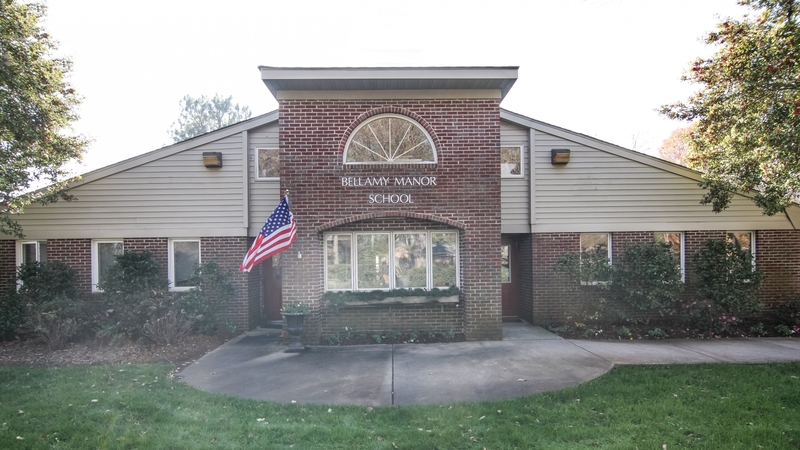 Bellamy Manor School’s teachers take advantage of this time and offer exciting as well as educational units. Ms. Jess and Ms. Susanne’s two’s have grown and matured at an impressive rate. Their January begins with an in-depth study of words and their opposites. Ms. Jess and Ms. Susanne do an exceptional job with their charges, and their patience is never ending. The three-year-olds settle back into the routine of school with a quick review of letters and numbers. The rest of the month involves a study of the Zoo. As the month goes by, they will become experts on animal behavior. For many of the children, a visit to the Virginia Zoo in Norfolk would be a marvelous addition to reinforcement the animals they are studying. The four-year-olds at BMS take a leap into fantasy and hop off to Mr. MacGregor’s garden to study Peter Rabbit. After they are thoroughly entranced by Benjamin Bunny, Peter Rabbit, and Jemimah Puddle Duck, the four’s have a marvelous English tea party. We have a good bit of fun with this unit while introducing the children to some excellent literature. Because Beatrix Potter’s books are so delightfully illustrated, reading her stories aloud to your child at home will help reinforce their world in their minds. Our Pre-K will now study the world of insects. Bugs are fascinating little creatures and the children will start looking very closely at them with this unit. We hope to raise a crop of ladybugs! Ms. Sandra will continue with letter and number recognition as well as phonics instruction on an individual basis. The kindergarten classes take a trip back in time to the age of reptiles and study dinosaurs. These budding paleontologists learn to identify close to twenty-five dinosaurs before attending a dinosaur hunt at the end of the month. This is one of our favorite studies and the children love it. Much time is also spent working on hand writing, math facts, and the concept of fractions. A Pre-registration form and the 2019-2020 tuition schedule for fall is attached to this newsletter. Returning students have priority for placement in the morning classes until the end of January. All other classes are open to new as well as returning students. Parents who choose to pay the registration fee via credit or debit card may do so through our online tuition portal, Diamond Mind. (http://bellamymanor.diamondmindinc.com/). Remember it is important to finish registering in January, as classes will open for new student registration on February 1st. We will offer Spanish immersion classes in our five-day three’s, four’s, Pre-K and kindergarten classes next year. If you are interested, you must check the box on the pre-registration form to be considered. Children currently in the immersion program have priority. Please let us know if you are interested in this program on the pre-registration form. Many four-year-old parents are concerned about properly placing their child next year. Some children need an additional preschool year before kindergarten; others do not. We have many calls concerning the difference between the four-year-old program and the Pre-K class. The only difference is age; children whose fourth birthday falls between January and August should sign up for the regular four-year old class; those turning five between September and December belong in the pre-kindergarten class. If you have any questions or concerns, please contact Nancy or your child’s teacher. Kindergarten parents who are interested in private school for their child should schedule interviews now. If you wait even a month, many of the quality schools will be full for next September. Please let both your child’s teacher or your director know that you are interested, and they can help prepare your child properly for the entrance evaluation. We’re here to help. We all have the same goals– a happy, self-confident child who loves school and learning. Thanks again for your enthusiastic support. You have enabled us to teach in a creative and open atmosphere so crucial for true learning to occur. We sincerely hope you will be able to return next year. MONDAY, JANUARY 28th, THE MANOR SCHOOLS HAVE THEIR SEMI-ANNUAL INSERVICE. WE WILL BE CLOSED ON THIS DAY. SNOW POLICY: Manor School special announcements, such as school closings, late openings, and early dismissals will be posted on our website at www.manorschools.com. We will also send out a group email as well. TAX INFORMATION: If you claim the cost of BMS as an expense on your Federal Tax Return, you must include the Taxpayer Identification Number: 54-1238801. HAPPY NEW YEAR! I hope your Christmas was delightful. I can’t wait to see all the new and exciting Show ‘N Tells. The children and teachers returned from vacation refreshed and ready for some intensive learning. January seems to be a month when the children experience tremendous academic growth. Beach Manor School teachers take advantage of the moment and offer exciting as well as educational units. Ms. Annette’s and Ms. Leslie’s little ones have grown and matured at an impressive rate. January our MDO’s will spend their time enjoying “Fun with Food”. They will make Cinnamon Pretzels, play with dough (and spaghetti), paint with fruit and sample many tasty and healthy treats. Ms. Annette and Ms. Leslie both do an exceptional job with their charges, and their patience is never ending. The three year olds spend a week settling in and reviewing their alphabet and number concepts. Then they will be introduced to life on the farm. The focus of this unit is farm animals and their products. Although the school doesn’t take field trips, I’d like to suggest a trip to a dairy where the children can see a working dairy. The petting zoo at the Virginia Zoo also has many farm animals the children can touch and feed. As the children become more aware of their environment their curiosity deepens. These studies are designed to help them understand and organize their world. The four year old classes hit the trail as they learn about horses, cowboys, and rodeos. In keeping with developmental levels, the fours will enjoy stories about the Wild West. The unit ends as the children enjoy a “rodeo,” Beach Manor style. Letter and number recognition as well as phonics continue on an individual basis. The Pre-kindergarten classes investigate the weather—clouds, rainbows, snowflakes, wind and the four seasons. This unit has been designed to be quite hands on, scientific approach to the causes of different types of weather. Letter and number recognition as well as phonics instruction continue on an individual basis. The kindergarteners take a good look at themselves this month. Mrs. Heim will introduce the children to the various systems of the human body. The children start by studying their skin and move right into the most important muscle—their heart. This is a fairly detailed unit and it is incredible how many facts our five and six year olds absorb and retain. Much time is also spent on handwriting, math facts, and the concepts of fractions. We have lots of plans and ideas for school programs in the coming year. Although next September seems a long time away it’s time to consider registration. Returning students have priority for places in the morning classes. Afternoon classes are open to new as well as returning students. Step 1: You (the parents) complete a pre-registration form. We then know what class you want for your child. When you return this form with the registration fee you will have completed the first step. We will send you the Web link for our online enrollment. Step 2: After you receive the Link you need to complete the online form (WITHIN 7 DAYS). Every required field must be filled out in order for you to submit the form. Once this enrollment form is submitted your child will be fully enrolled in the class you requested. We are hoping this is as easy as it sounds. Remember it is important to finish registering in January as classes open for new student registration on February 1st. Parents who choose to pay the registration fee via credit or debit card may do so through our online tuition portal, Diamond Mind (http://beachmanor.diamondmindinc.com/). We will offer Spanish in some of our class’s one of our 3 day 3 classes, our 4 year old classes, and Prek and Kindergarten classes next year. If you are interested you must check the box on the pre-registration form to be considered. Please let us know if you are interested in this program. Some children need an additional preschool year before kindergarten; many do not. We have many calls concerning the difference between the four year old program and the PreK class. The only difference is age: children whose fourth birthday falls between January and August should sign up for the regular four-year old class; those turning five between September and December, belong in the pre-kindergarten class. If you have any questions or concerns, please contact me or your child’s teacher. All parents of rising kindergartners should be aware that many families have chosen to combine the Manor Schools kindergarten program with the public school program by having their child attend each program for half a day. 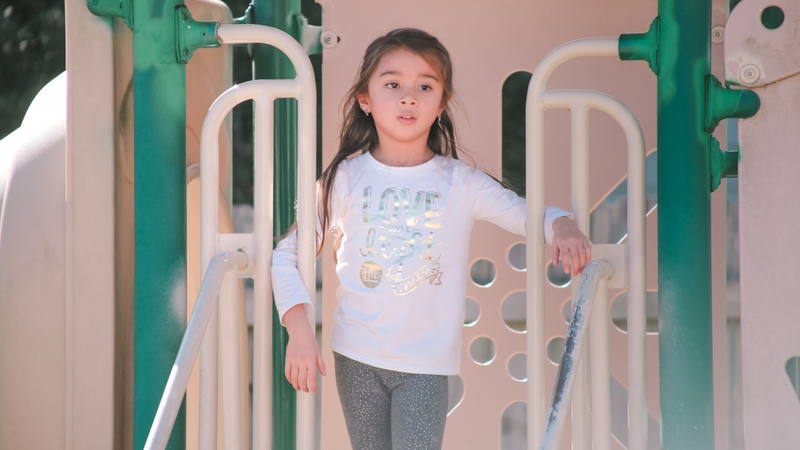 Children who do this benefit from continuing The Manor Schools strong academic program while becoming familiar with their prospective public school methods as well as social circles. We do have limited transportation. If you think you may be interested in that option, talk with Chris. Kindergarten parents who are interested in private school for their child should schedule interviews now. If you wait even a month, many of the quality schools will be full for next September. Please let both your child’s teacher and the director know that you are interested and they can help prepare your child properly for the entrance evaluation. We’re here to help. We all have the same goals- a happy self-confident child who loves school and learning. Thanks again for your enthusiastic support. You have enabled us to teach in a creative and open atmosphere so crucial for true learning to occur. I sincerely hope you will be able to return next year. SNOW POLICY: Manor School special announcements, such as school closing, late opening, and early dismissal will be posted on our website www.manorschools.com. You will also receive an email and/or text from our child’s teacher. If you are still unsure, feel free to contact me directly. REMINDER: DO NOT EVER leave children unattended in your vehicle. Either park in a designated parking place and walk your child inside or join the carpool line and we will assist your child into the building. Please do not park in the carpool lane between 8:30 and 9:00 if you are bringing your child inside. Remember to park in a designated parking place. Thanks! The days are shorter, the nights are snugly, and there is such a hint of anticipation and excitement in the air that it must be December! This is a very exciting and busy month for us all. With an emphasis on joy and love, this holiday season will be a happy and pleasant one. One of the nicest things about school is how much fun it is. Both socially and academically Beach Manor School students are enjoying themselves while absorbing some marvelous tidbits of information. This past fall has been productive as well as rewarding for my teachers and me. I hope you have seen great strides in your child’s growth. The classes devote the month of December to holiday preparations. The children will make crafts and learn songs appropriate for each celebration. In addition to letters and numbers this month’s activities will include making and wrapping their gifts for you, baking, and preparing for our Holiday Program. We plan on having our holiday programs on Dec. 12th and 13th. The program will last about thirty minutes. The morning program will start at 9:30. It’s the three and four year old parents’ turn to provide refreshments for the adults on the porch. If you are planning on taking your child home rather than wait for carpool that will be fine, just remember to tell your child’s teacher. Excitement is extremely high during this last week of school, so please be patient with your child. Our last full day of school is Friday, December 18th. School resumes at its usual time on Monday, January 2rd. The children are enjoying our Spanish classes. In December you may hear your child using Spanish to describe our winter weather…the cold “el Frio” and what may follow “la nieve” the snow!! During our Holiday Program we will sing Felize Navidad for our grand finale. ‘Tis the season not only to be jolly, but also to indulge. Although we aren’t fanatic about no sugar at the Manor Schools, we have learned to be cautious. Some children cannot tolerate any sugar at all — all children seem to react negatively when their systems are overloaded with it. This is the time of year when adult expectations and childish abilities have difficulty meshing. One major thing you can do to help your child enjoy the holiday season is limit their sugar intake. (Not eliminate, just limit.) This does not mean we don’t want parties. The children love cheese and crackers or fruit at least as much as cupcakes! If it’s not worth the hassle, please try to curtail sugar at breakfast. Children seem better able to settle into learning with protein and fruit. The Manor Schools’ staff and I wish you a peaceful and pleasant holiday season. Thank you for your encouragement and support the past three months. It’s what keeps us going. MEDICATIONS: It helps us to know if your child is on medication. The side effects of many antibiotics and decongestants include behavior changes that dramatically alter classroom performance and actions. We recently met with Social Service for clarification of several regulations. The state is strict on the storing and dispensing of medication at school. *All medication must be locked in our medicine cabinet and logged in only by YOU, the parent. Proper medication forms are required. **NEVER EVER put medicine in your child’s backpack. This includes all over the counter items such as lip balm, cough drops, diaper cream or hand cream. LOST AND FOUND: Please check our Lost and Found for any clothing your child may be missing. We accumulate quite a collection. Please return any clothing borrowed when your child has an accident. PLEASE LABEL YOUR CHILDS COAT, SWEATER, GLOVES, HATS, ETC. I cannot tell you how many times we hold up items and the children just do not know it is theirs and another child claims it by error. SNOW POLICY: Manor School special announcements, such as school closings, late openings and early dismissals will be posted on our website at www.manorschools.com . You will also receive an email and/or text from your child’s teacher. If you are still unsure, feel free to contact me directly. Thank you to all of the parents who have sent in the material necessary for us to do our crafts, such as Pringles cans, soda bottles, and milk cartons. VERY IMPORTANT: CARPOOL: Please stay in your car at car pool. We will unload and load the children. This is not the time to visit with your child’s teacher. Please call or park and come in if you need to chat. It is very important to keep the line moving. Never, ever, should a child be in our parking lot at any time of the day, without holding teachers or a parent’s hand. Please remember that the safety of your children is very, very important to us. The days are shorter, the nights are snuggly, and there is such a hint of anticipation and excitement in the air that it must be December! This is a very exciting and busy month for us all. With an emphasis on joy and love, this holiday season will be a happy and pleasant one. One of the nicest things about school is how much fun it is. Both socially and academically Greenbrier Manor School students are enjoying themselves while absorbing some marvelous tidbits of information. This past fall has been productive as well as rewarding for my teachers. We hope you have seen great strides in your child’s growth. The classes devote the month of December to holiday preparations, both Christmas and Hanukkah. All the children will make crafts and learn songs appropriate for each celebration. In addition to letters and numbers this month’s activities will include making and wrapping their gifts for you, baking, and preparing for our holiday program. Kindergarten studies the instruments of the orchestra to help them appreciate the music they will hear throughout the holiday season. If any of you care to share your expertise in this area we would sure be grateful. We plan on having our holiday programs on December 13, 14 and 17. (Dec 13 for our Mother’s Day Out class) The programs will last about thirty minutes. It’s the four-year-old parents turn to provide refreshments for the adults in the lobby ─ Thank you! If it is convenient for you to take your child home rather than wait for carpool, that will be fine, just remember to tell your child’s teacher. Excitement is extremely high during the last week of school before the holiday break, so please be patient with your child. School will resume and classes will start at their usual time on Wednesday, January 2rd. The children are enjoying our Spanish classes. In December you may hear your child using Spanish to describe our winter weather…the cold “el frio” and what may follow “la nieve” the snow! During our Holiday Program we will sing Felize Navidad for our grand finale. ‘Tis the season to not only be jolly, but also to indulge. Although we aren’t fanatic about no sugar at the Manor Schools, we have learned to be cautious. Some children cannot tolerate any sugar at all ─ and all children seem to react negatively when their systems are overloaded with it. This is also the time of year when adult expectations and childish abilities have difficulty meshing. One major thing you can do to help your child enjoy the Christmas season is limit their sugar intake (not eliminate, just limit). This does not mean we won’t have parties. The children love cheese and crackers or fruit at least as much as cupcakes! If it’s not worth the hassle, please try to curtail sugar at breakfast. Children are better able to settle into learning with protein and fruit. Registration for the 2019-2020 school year will be online with InfoSnap, our registration portal. Enrollment will remain a two-step process. Step 1 will be the completion and return of the pre-registration form along with payment of the registration fee. Once we have the preregistration form and payment we will email the InfoSnap registration link. Step 2 will be the submission of your InfoSnap registration. Parents that registered with InfoSnap last year should find the process easier because the link permits exclusive access to your registration we have on file. You will only need to update information that may have changed. Pre-registration forms will be emailed and available for pick-up at the front desk during the first week in January. Although it seems so terribly far in the future, now is the time to start planning. Those of you on a flexible benefits program need to call me for a schedule of fees for the next school year. Those of you who plan on returning to our school next fall should register soon after the holidays to reserve your child a place next September. I will limit registration to returning students through January. Register early to get your first choice, some classes fill before the end of January. After January, registration will also be open to the public. If you are interested in having your child attend a private elementary school, talk to me. Many rising kindergartners can attend Greenbrier Manor for a half day and the public kindergarten (Butts Road) for the other half. Please speak to Elizabeth or myself if this plan appeals to you. We want to thank everyone for helping support our fundraisers! Your response this year was overwhelming, and we truly appreciate it!! The Manor Schools’ staff and I wish you a peaceful and pleasant holiday season. We thank you for your encouragement and support the past three months. This is what keeps us going! * NEVER, EVER, put medicine in your child’s bookbag. This includes all over-the- counter items such as lip balm, hand sanitizer, cough drops and hand cream. LOST & FOUND: Please check our Lost and Found for any clothing your child may be missing. We accumulate quite a collection. Please return any clothing borrowed when your child has an accident at school. If you have clothes your child has outgrown send them our way. We need them for this type of emergency. Thanks!! SNOW POLICY: Manor School special announcements, such as school closings, late openings, and early dismissals will be posted on our website at www.manorschools.com . You will also receive an e-mail and/or text from your teacher. If you are still not sure, feel free to contact your child’s teacher or me directly. TUITION FOR DECEMBER IS A FULL MONTH. The days are shorter, the nights are snugly, and there is such a hint of anticipation and excitement in the air that it must be December! This is a very exciting and busy month for us all. With an emphasis on joy and love, this holiday season will be a happy and pleasant one. The classes devote the month of December to holiday preparations, both Christmas and Hanukkah. All the children will make crafts and learn songs appropriate for each celebration. In addition to our routine academics, this month’s activities will include making and wrapping their gifts for you, baking, and preparing for our Holiday Program. Kindergarten studies the instruments of the orchestra to help them appreciate the music they will hear this holiday season. If any of you would care to share your expertise in this area we sure would be grateful. One of the nicest things about school is how much fun it is. Both socially and academically, Broad Bay Manor students are enjoying themselves while absorbing some marvelous tidbits of information. This past fall has been productive as well as rewarding for my teachers and me. I hope you have seen great strides in your child’s growth as well! Holiday Programs: Our holiday programs will be December 12, 13 and 14th. Please see below for exact class schedules. We will try to have the program outside if weather permits so dress accordingly. You are welcome to bring chairs or blankets if needed. If the weather is too cold or wet we will move the program to the big room inside. 2019-2020 Registration: I will soon send out registration info for the 2019-2020 school year via e-mail. We will continue to use our online registration program, InfoSnap. Although it seems terribly far in the future, now is the time to start planning for the 2019-2020 school year. Those of you who plan on returning to our school next fall should plan to register ASAP once we return from our winter break. Inclement Weather Policy: Manor School special announcements, such as school closing, late opening, and early dismissal will be posted on our website www.manorschools.com. You will also get an email as soon as we make any decisions about school closings. SICK POLICY: In order for us to keep ALL our children as healthy as possible we must work together. Please DO NOT send in your child if they are sick. If they are showing any signs of sickness consider keeping them out of school to help prevent exposure to other children. If we are ALL in keeping with this courtesy, we can greatly reduce the spread of illness throughout the school. A healthier school means a healthier child for you! Our official rule is a child may not come to school until they have been fever free (without meds) for 24 hours. If your child is sent home with a temperature mid day, we will expect him/her NOT to be at school the following day as this is not in keeping with the 24 hour policy. We ask if your child has vomited or had diarrhea in the last 24 hours to please stay home as well. In the end a sick child belongs at home. * NEVER, EVER, put medicine in your child’s bookbag. This includes all over-the- counter items such as lip balm, cough drops and hand cream. PERSONAL ITEMS: Now that the weather is getting chillier we are seeing more and more coats/jackets coming to school. Please label all of your child’s items. This will help our teacher make sure these items make it home every day. We wish you a peaceful and pleasant holiday season from the entire BBMS staff. Thanks again for sharing it with us! One of the nicest things about school is how much fun it is. Both socially and academically Bellamy Manor School students are enjoying themselves while absorbing some marvelous tidbits of information. This past fall has been productive as well as rewarding for our teachers and staff. We hope you have seen great strides in your child’s growth. The classes devote the month of December to holiday preparations, both Christmas and Hanukkah. All the children will make crafts and learn songs appropriate for each celebration. In addition to letters and numbers this month’s activities will include making and wrapping their gifts for you, baking, and preparing for our Holiday Program. Kindergarten studies the instruments of the orchestra to help them appreciate the music they will hear this holiday season. If any of you would care to share your expertise in this area we sure would be grateful. We plan on having our holiday programs on Dec. 6, 12, and 13th. Be sure to check below for the day and time your child’s class will perform. The programs will last about thirty minutes. It’s the four-year-old parents’ turn to provide refreshments for the adults in the lobby. Remember we are now a peanut free school. If it is convenient for you to take your child home after the program rather than wait for carpool, that would be fine, please return to your child’s class and pick up your child from the classroom. Parking will be available again at the Rivers of Living Waters Church on Indian Lakes Blvd. A security policeman will patrol the parking lot while you enjoy your children’s show. Excitement is extremely high during this last week of school, so please be patient with your child. ‘Tis the season not only to be jolly, but also to indulge. Although we aren’t fanatic about no sugar at the Manor Schools, we have learned to be cautious. Some children cannot tolerate any sugar at all — all children seem to react negatively when their systems are overloaded with it. This is the time of year when adult expectations and childish abilities have difficulty meshing. One major thing you can do to help your child enjoy the holiday season is limit their sugar intake. (Not eliminate, just limit.) This does not mean we don’t want parties. The children love cheese and crackers and fruit as much as cupcakes! If it’s not worth the hassle, please try to curtail sugar at breakfast. Children seem better able to settle into learning with protein and fruit. In January, we will be sending out registration information for the 2019-2020 school year via e-mail. We will be enrolling on line through a link given to you when we return in January. Although it seems so far in the future, now is the time to start planning. Those of you on a flexible benefits program need to call us for a schedule of fees for the next school year. Those of you who plan on returning to our school next fall should register soon after the holidays to reserve your child a place next September. We will limit registration to returning students through January. Register early to get your first choice, some classes fill before the end of January. After January, registration will also be open to the public. If you are interested in having your child attend a private elementary school, talk to Mrs. Watkins or me. We want to thank everyone for helping support our fundraisers. Your response this year was overwhelming and we truly appreciate it! The Manor Schools’ staff wish you a peaceful and pleasant holiday season. Thank you for your encouragement and support over the past three months. It’s what keeps us going. * NEVER, EVER, put medicine in your child’s book bag. This includes all over-the- counter items such as lip balm, cough drops and hand cream. SNOW POLICY: Manor School special announcements, such as school closings, late openings, and early dismissals will be posted on our website at www.manorschools.com. You will also receive an e-mail and/or text from your teacher. If you are still not sure, feel free to contact your child’s teacher or us directly. SCHOOL CLOSES FOR THE HOLIDAYS AT THE END OF THE DAY ON DECEMBER 18th. Our holiday program will be outside in the parking circle. If it rains we will have it inside. Keep your fingers crossed! Copyright © 2006-2018 PHLOX All rights reserved.